​Gather the children in a group, and have available a carton of eggs. Explain that they were laid by chickens, that baby chickens come from eggs, but the eggs need to be fertilized first, and these eggs are not fertilized, so will never be baby chickens. Children touch, hold and observe the eggs, and describe the shells, shape, and smell. Crack one of the eggs onto a saucer. Discuss the parts of the egg – the membrane, yolk, albumin (white) and the white string that is attached to the yolk. Then have each crack an egg into individual saucers, and explore and discuss their own egg. ​Living things need to create other living things. Two ways that animals do this, is by having live babies (mammals), and by laying eggs. 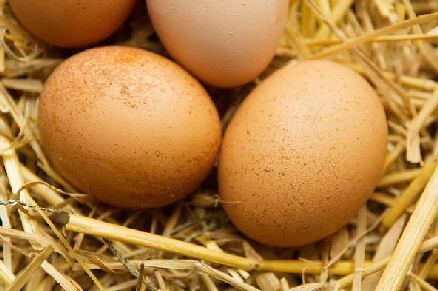 Some animals that lay eggs are birds, amphibians, reptiles, fish, insects and spiders. We are exploring a chicken’s egg. A chicken is a bird. Can you find some similarities and differences between the uncracked eggs; the cracked eggs? Peel shells from hard-boiled eggs, dry them, color with food coloring and make a collage. Arrange egg shapes according to size, or numerical order. Cook with eggs. Make a fried egg and a scrambled egg, and compare the consistency and how they look. Taste – do they taste the same? Make and egg custard with some milk and sugar.